Michael B. Cohen, MD is board certified in cardiovascular medicine and internal medicine. 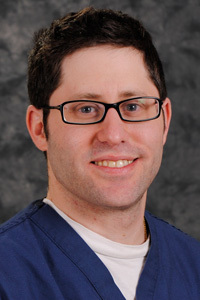 Dr. Cohen is an interventional cardiologist with a special interest in radial coronary interventions, percutaneous peripheral interventions, and lipidology. Dr. Cohen earned his medical degree from the University of Miami. He completed his residency in internal medicine at the Thomas Jefferson University Hospital. Dr. Cohen subsequently completed a fellowship in cardiology at Mount Sinai Medical Center, Miami Beach, Florida and a fellowship in interventional cardiology at Temple University Hospital, Philadelphia. At the forefront of interventional cardiology, Dr. Cohen is a participant in various research protocols and has authored many medical journal articles. He is a member of the Society for Cardiovascular Angiography and Interventions and the American College of Cardiology.